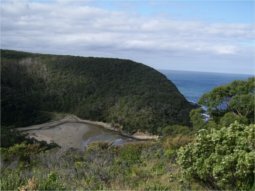 The Great North Walk stretches between Sydney and Newcastle for a distance of approximately 250km. Only a very small fraction of the Walk is on suburban roads; most of it winds through bush, along country roads, up and down mountain sides and across beaches. My husband, Andris, and I did the Walk in midwinter – perhaps not one of our brightest decisions – which meant that we had to confront many misty and extremely cold mornings. We also experienced an unbelievably wet crossing of the Watagan mountains, complete with raging creeks and a multitude of leeches. A number of years later, Jonathan, Mikaela and I did the first part of the Walk – Sydney to Somersby. The ups and downs had not changed, but it was spring, the weather was kinder and there were wildflowers everywhere. 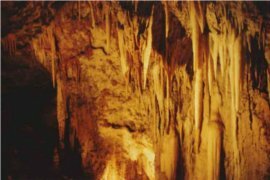 The Six Foot Track is a 44km walk between Katoomba and Jenolan Caves in the Blue Mountains, west of Sydney, where the ‘up’ bits seem to outnumber the ‘down’ bits by about 50:1. It follows an old horse, or Bridal, Path that was established in the 1880s. 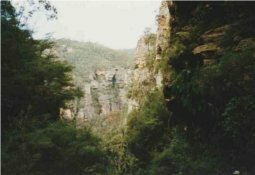 The Walk starts at the Explorer's Tree just outside Katoomba and then plunges down, fairly rapidly, into the Megalong valley. By the time the swing bridge over the Coxs River is reached, a descent of around 1,000 metres has been accomplished. The Walk takes about two and a half days, although, being the length of a marathon, some people run it in decidedly less time than that. 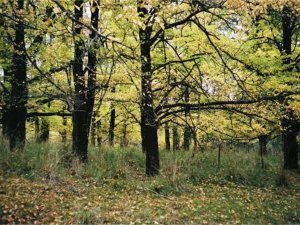 The first camping place is close by the Coxs River and the second beyond Black Range Road. Of course, as you possibly guessed, a descent of 1,000 metres indicates an ascent of roughly the same on the other side of the valley. We did this Walk many years ago – in fact it was one of the first Walks we ever did – and I have still not forgotten the climb out of the valley. This is a great short Walk with many historical references along the way. 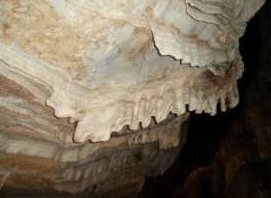 As well, the end point – Jenolan Caves – is certainly worth a visit. 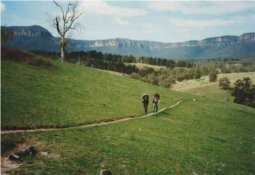 The Hume and Hovell Walk covers 440km between Yass, in the south west of NSW, and Albury, on the NSW Victorian border. 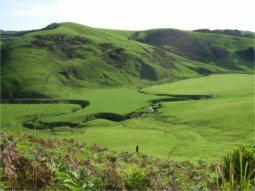 An extremely varied walk, it includes rugged hills, country roads, bushland, forests, dams, lakes and high snow–prone areas. 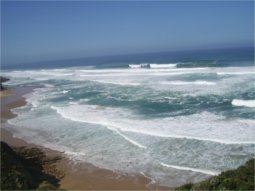 This Walk follows the Great Ocean Road between Apollo Bay and the Twelve Apostles on the southern coast of Victoria for a distance of 90 – 100km and is memorable for the magnificent scenery, the pounding Southern Ocean and the wonderful sense of isolation. We were five who did the Walk in October 2008, when the wildflowers and the tea–tree bush were at their best. 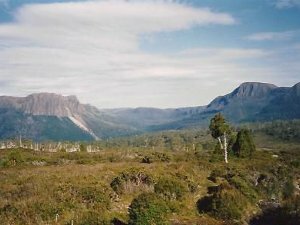 The Cradle Mountain Walk (also called The Overland Track) covers a distance of approximately 70km through some amazing scenery in the north&dash;western corner of Tasmania. 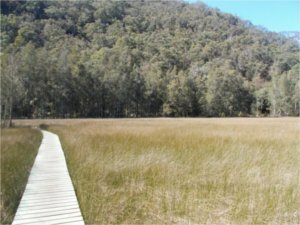 This would have to be one of the most fantastic Walks in all of Australia. It extends for almost 1,000km from Albany in the south of Western Australia to Kalamunda just outside Perth. It took my son Jonathan and me almost 6 weeks to do the Walk in the autumn of 2005. My husband, Andris, met us along the Track and joined us for about two and a half weeks. After the 6 weeks, it was not at all easy to return to civilization. 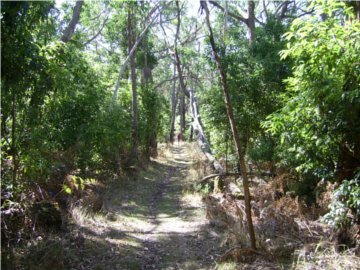 Check out the Bibbulmun Track Foundation website. 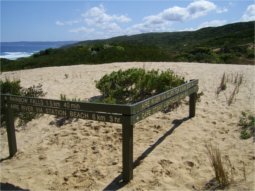 I assume that the Sydney Coastal Walk will eventually stretch from Barrenjoey, north of Palm Beach, to Cronulla, south of Botany Bay; however, at the moment, it is not complete. There is no track from Phillip Bay, west of La Perouse, to Taren Point, and there is no way of crossing Botany Bay from La Perouse to Kurnell (unless one swims or takes a boat). As a result, the present Walk actually finishes at La Perouse. Further north, the Track map between the Spit Bridge and the Harbour Bridge is covered with a text rectangle, which possibly indicates that there is no actual walking track in that area. However, in spite of these drawbacks, the Walk is worth doing; just make sure that you have a good set of maps. It is a very different kind of Walk, because camping is more or less out of the question and civilization is always a stone's throw away. My sister and I did this Walk in September 2011, and it took us about five days. The weather was perfect to hot, and all the way we had amazing views of the ocean and long sandy sweeps of beaches. 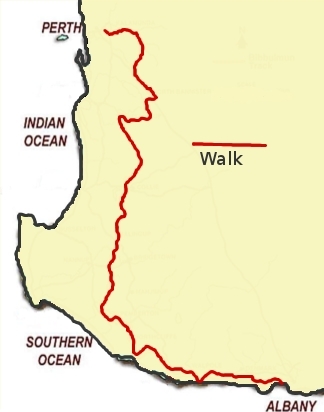 This is a loop Walk of somewhere between 250 – 270 km. 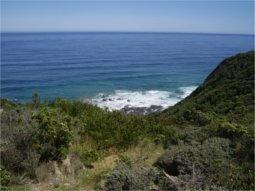 It starts and ends at Portland in the south–west corner of Victoria, Australia, passing inland through forests and along the banks of the Glenelg River before meeting the coast at Nelson and then following the amazing beaches and the headlands of Victoria's south coast. Before reaching Nelson, it even takes a very quick look at South Australia. Jonathan and I managed to do the Walk in two weeks in April 2013. The weather was extremely varied – sun, heat, cloud, spitting rain, teeming rain, wind and even ice. We met no one else who was actually doing the Walk, though we did meet a few day–walkers as well as a school group involved in a Boot Camp exercise.